"The lords of hell rage within the Black Soulstone, their souls screaming for vengeance and release. Before the artifact can be sealed away forever, Malthael–Angel of Death–manifests in the mortal realms with a deadly new purpose: to steal the Black Soulstone and bend its infernal power to his will. So begins the end of all things..."
Blizzard used Gamescon to reveal a five minute cinematic game introduction. Watching the trailer, we see the spooky dark stone being hidden before pinched by someone who calls himself Death. Death lives up to his name as he brutally ices someone, followed by attempting to steal the stone. Amid the chaos Death is told that Nephalem will stop him, but responds, "No one will stop Death." 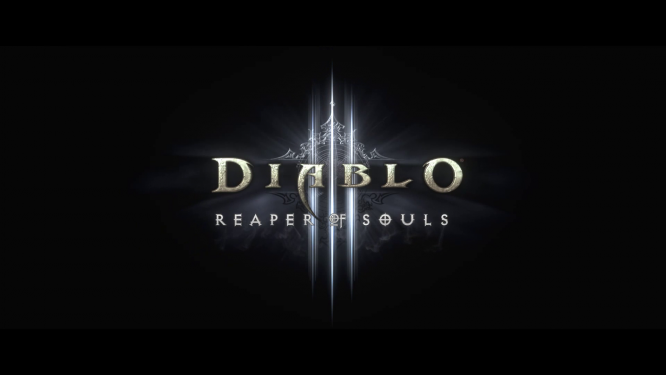 Blizzard have yet to announce a release date for Diablo 3: Reaper of Souls, but it's thought that the console version of Diablo 3 may come out before the expansion pack is released. The PlayStation 3 and Xbox 360 receive Diablo 3 on September 3rd and are promised some exclusive content called the Infernal Helm. "The epic action-RPG Diablo III is coming to a new platform," said Blizzard. "In an experience reforged specifically for the console, players will adventure through rich and varied settings, engage in combat with hordes of monsters and challenging bosses, and grow in experience and ability, all while acquiring items of incredible power." Are you looking forward to Diablo 3: Reaper of Souls? Will you be getting Diablo 3 on console? Let us know in the comments below.